"I love sopranos who can command the rich middle and lower register of a mezzo....[Martinelli's] alluring tone would be wasted without such strong musical instincts, but she is unerring in her breadth of phrasing and her timing." 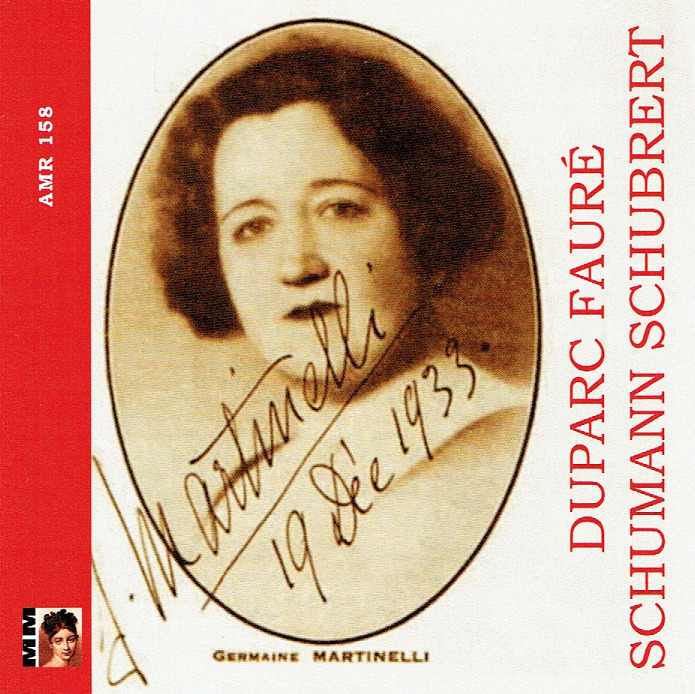 “Germaine Martinelli belongs to the most renowned concert and Lieder singers. She has a truly sumptuous and rich voice, delivered by a beautiful legato. French sopranos are said to produce a ‘Gallic edge’ in the upper register. This is not to be found in Martinelli’s voice. She has a dark timbre of an almost mezzo-like quality.